It's probably with it being stood for about five years. For all it looks rough as anything, mechanically it's in excellent shape all things considered. I don't believe it had a new clutch before being parked up but it was in regular use until the rust was found at an MoT. That's Mike sniggering behind the camera. If you're wondering, the clutch is a bit stuck on at the moment so driving it around the yard is an interesting experience. I managed to get a first-to-neutral gear change and a first-to-second (surprisingly scary speed change in the space!) gear change while the car was running which is an improvement. I can *almost* select all gears when the car is idling now, but still have to select first before starting the car. Once driving around you can take your feet off all the pedals and just steer, it chugs around as if it's an automatic. I would have chugged about for longer had I more free time and I reckon with persistence this clutch will free off properly just chugging about and attempting to change gears. Now the bad news. This tiny little drive has highlighted that my fears about the driving position are valid. The seats and suspension make it more comfortable than a Mini, but only just. The other issue is the offset is so bad, when I went for the brakes in the video so I didn't hit the Vauxhall, I stabbed the accelerator at the same time, which was particularly alarming. I am completely the wrong shape for this car and so it is with some regret that I can categorically say the 1100 is not a car for me. Just driving it in circles in the yard left me in some back pain that I've been free of completely since piloting the Princess and 414 about daily over the last year or so and I have no desire to inflaming that particular issue. Still, you can now see it drives, runs and stops quite happily, even with a sticky clutch. Now just to find it someone who can take all the parts I've bought for it and get it back together again. strange that it affects you so much! Hereditary spinal problems. I need everything to be in line, any sort of offset is really bad. It's the reason I had to get rid of my superb Xantia estate, I could only drive it for about half an hour before I was in considerable pain. A big reason for sticking with the 414 is that the seating position in it is the most perfect I've had in any car and yet, for many, it's one of the worst. I'm gutted that the 1100 is so painful for me. I really love the car otherwise but if I can't drive it comfortably, there seems little point in keeping it. It's not as bad as a Mini or a Metro (and I do love Metros), but it's close. Not sure if the later models are the same but the Mk1 seat is angled towards the centre of the car to ensure the position is correct per the pedals. 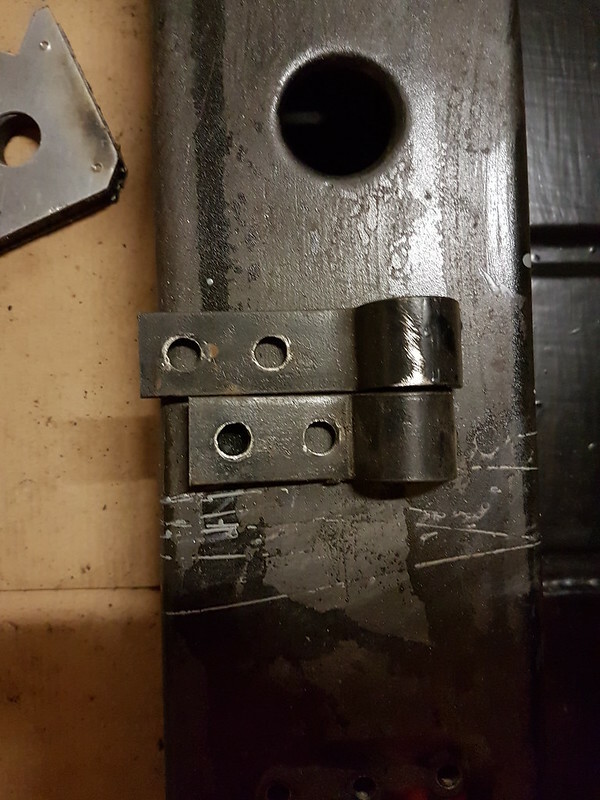 It may be that the seat brackets are in the wrong holes giving the incorrect offset. Worth a look anyway. The Mk1 has a long and short bracket and three mounting holes for each so they can be flipped and moved to put the seat further back so it might be possible to get it wrong and screw up the driving position. It's not the brackets or seat that is the problem here... well, it is... but what I mean is there's no adjustment or fiddling of the brackets that can be done that will improve this situation. The car would need to have a bench seat in the front for me to sit where I need to. As it happens, there is an interested party who seems quite keen to take this on and get the jobs finished. We're just trying to find the best compromise on price etc. since he's at the other end of the country to me and really has to rely on the content of the thread to decide if to buy. We shall see what happens. Suffice to say, there's nothing anyone can say or do that will make me want to keep the car now. Its tenure with me is effectively over and while I might tinker with a few smaller jobs to make moving it on easier, it's unlikely I'll get into weldathons or trying to get it through an MoT since the house move is now at the viewing potential properties stage and I need to be sinking my small amount of free time into work and keeping my other two cars healthy. Paid in full and a delivery date secured on this. New owner is down in Bristol, which is about as far away from Middlesbrough as you can go without getting your feet wet. I don't know if they'll pop up here or not with updates, that's entirely their choice, and I've passed the info on. For me, I reckon I'll be disappearing since I haven't anything to offer now I don't have the 1100, I can't see me owning another, nor a Mini or Metro, since I find them all too uncomfortable to drive. Massive shame, really, because they are still very appealing cars. I'll just have to admire them from afar. There’s no need to disappear. We still want the continuing story of the Princes. It’s been fun eavesdropping on your progress/ battles with the 1100. I’m sure you have encouraged others to tackle projects that they might have walked away from. I don't know if they'll pop up here or not with updates, that's entirely their choice, and I've passed the info on. Don't worry Vulgs, I've been following/stalking your threads around the internet for a while. I'll try and keep this thread updated with its progress. It'll be my first proper full restoration project and I've never welded before. So it at least should hopefully be a good learning experience for myself. But it does mean I'll need all the tips and guidance I can get!